TravStar1 Point Of Sale SystemRegister Manual Basic Register TransactionsHow Do I Use The Quick Cash Buttons? How Do I Use The Quick Cash Buttons? This lesson will teach you how to use the "Quick Cash" buttons when accepting cash as payment for a transaction. In this example we will assume that the customer has given you a 5 dollar bill. So, instead of typing 5.00 and touching the cash button, you can simply touch the "$5" button. The "$5" button applies a 5 dollar cash payment to the transaction. 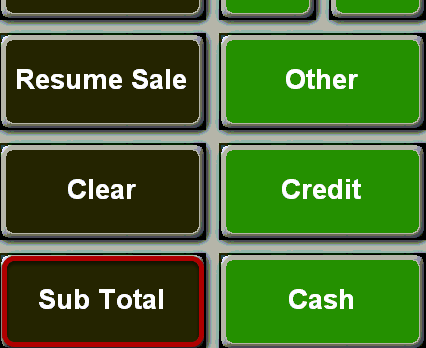 The "Quick Cash" buttons can also be used in combination with one another. 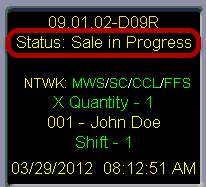 In this example, we will use 2 different "Quick Cash" buttons in combination to tender the Amount Due. (1) Touch the "$5" button once. (2) Touch the "$1" button twice. This combination applies a 7 dollar cash payment to the transaction. Prev: How Do I Process A Transaction If The Customer Is Paying With Cash? Next: How Do I Process a Transaction if the Customer Is Paying with a Credit Card (EMV)?